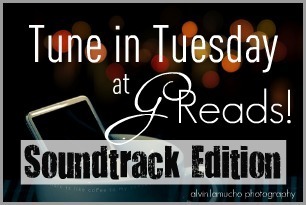 The theme for the month of October is Soundtrack Edition! 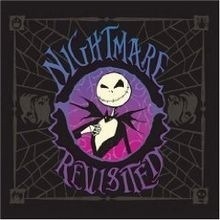 Since it's October and Halloween is just around the corner, I thought I would kick off the month with the 2008 - Nightmare Revisited - a cover album of songs from the 1993 film The Nightmare Before Christmas to commemorate the film's 15th anniversary. A lot of great artists took part for this one and I like listening to it even when it isn't Halloween. Nightmare Before Christmas is also one of my favorite movies. Track 9: “Jack’s Obsession” performed by Sparklehorse. Oh man, Nightmare Before Christmas for the WIN! I had no idea they did a cover album for the original soundtrack. I need to buy this STAT. Great pick! Great choice for October...oh how I love Marilyn Manson! Oh wow, I had no idea that many artists were on the soundtrack for this one. And 15 years??!! Seriously?! I feel insanely old right now lol. I LOVE The Nightmare Before Christmas and had the original soundtrack ... on cassette ... which melted in my car. (What a sad, outdated technology!) I didn't know this version existed! YES!!!!! Genius! My whole family loves this movie and we all love Nightmare Revisited. It's so freakishly awesome! Ooooh, I love Korn and some of Marylin Manson songs, this is a great soundtrack!!! Those songs are scary, lol! But I do love Rise Against! Giggidy! DUDE! Marilyn Manson's version is creepy as EFF! But i totally love it! He does a freakin' brilliant job. My favoritest song on this album (not that you asked...) is What's This because I AM IN LOVE WITH FLYLEAF! <---one of my favorite bands ever!